Are customers finding your business online? The only thing worse than not having a website is having a website that potential customers cannot find online. With millions of searches happening every day on search engines and social media, how can you make sure customers are finding your business? At EnSpot Marketing we ensure that our clients are investing in themselves with innovative digital marketing services that helps their business improve online visibility, creating more opportunities to turn a potential customers into a loyal customers. We offer a wide range of digital marketing services including Search Engine Optimization, Email Marketing, Social Media Management, Search Engine Ads(PPC), Website Design and much more. Not sure where you stand? 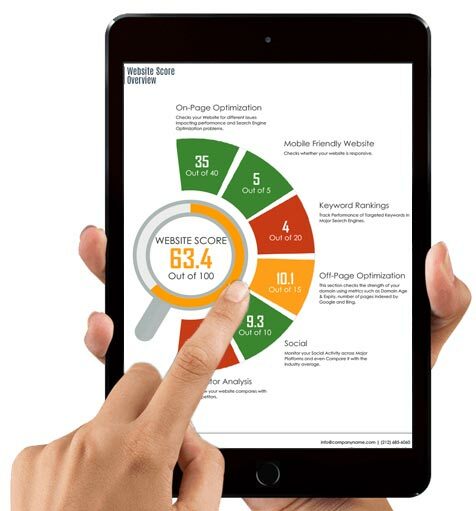 Try our free Website Visibility Report. Find out where your business stands with our Website Visibility Report. 100% Free! No strings attached. Our system will evaluate your online presence with over 60 major visibility indicators and will also include competition analysis. For better local results, please enter city. For better local results, enter State.